West Bromwich still has reminders of the Kenrick family. Kenricks, a business name still known in the town today. 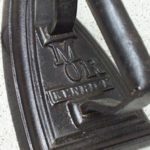 The company employed hundreds of local people and produced all manner of products during its long history, beginning with cast iron items, hollow-ware, baths, castors and today is one of the leading suppliers of quality hardware to the window and door industry. Born in 1760 at Wynn Hall, Denbighshire, Archibald Kenrick moved to Birmingham c1780 and was involved in two buckle making ventures, firstly with distant relative Henry Witton, then Thomas Bolton. As the arrival of shoe laces led to a drastic reduction in the demand for buckles it was time to turn to something less dependent on fashion so having been apprenticed in the iron trade and being familiar with the processes involved he decided to set up an iron foundry. The site he chose for ‘Archibald Kenrick, Ironfounder of West Bromwich’ c1791, bordered the Birmingham canal at Spon Lane, on land leased from Mr Houghton. 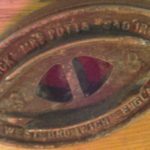 He began by producing cast iron cooking pots and utensils as made by other local ironfounders. 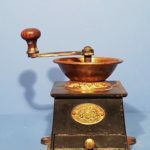 However he developed and patented a new annealing process and by 1805 he produced hollow-ware with a rim, which proved very popular. Due to the successful innovation of a tramway into the ovens which saved time and heat, the firm rapidly expanded. As John Izon had done before him, Archibald built houses for rent to a few key workmen and the area locally was known as Kenrick village. Between 1818 and 1823 more adjacent land was purchased and when all available land on the West Bromwich side of the canal had been used, expansion was made to the Smethwick side. By 1852 a new foundry was erected next to the canal wharf followed by new offices and warehouses in 1878. Offices were also opened in Glasgow, Dublin and Leeds. 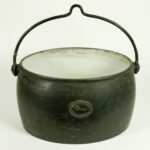 The cast-iron hollow-ware products included saucepans, kettles, round and oval pots, box irons and coffee grinders. The ‘oddwork’ and builders’ ironmongery included hinges, door knockers, handles, bell pulls, moletraps, castors, lavatory fittings and garden furniture etc. Sales of articles for civilian consumption fell drastically at the outbreak of war in 1914 and again in 1939 but the slack in production capacity was soon taken up by munitions contracts. During the Second World War the company manufactured seven million hand grenades and 1.5 million 2-inch mortar bombs to aid the war effort. In 1949, G.F Shepherd, a retired engineer living in Australia, agreed to license the company to manufacture and sell his patented castor. 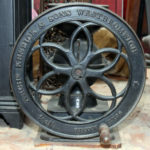 William Kenrick oversaw the production of the first set of Shepherd castors, a line which was a huge success. 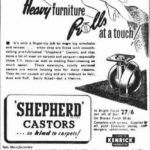 As the castor sales continued to soar in 1961 the Shepherd Minicastor was introduced, followed by Kenrick’s first plastic castor, the patented ‘Meteor’. 1965 saw the end of Kenrick’s as an iron-founder as die cast products now accounted for 80% of output. 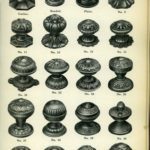 The company was now described technically as zinc alloy die-casters and generally as hardware manufacturers. Kenrick’s diversification continued in 1978 with the introduction of aluminium extruded hardware (window handles and letterplates), aluminium racking systems and aluminium twinwheel castors. Archibald and his wife Rebecca lived at ‘Springfields’ an old mansion at the top of Roebuck Lane. Being quite close to the foundry he would ride to and from the works on a mule. The spectacle of the head of an important business jogging sedately to his works on the back of a mule was quite in keeping with the rural character of most of West Bromwich in those days. A succession of family members joined the business partnership over the years; Kenrick sons, brothers and nephews. 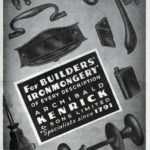 In 1883 Kenricks became a limited company with John Arthur Kenrick as chairman. In 1878 John Arthur Kenrick (1829/1926) bought the West Bromwich Free Press with the intention of restoring its fortunes. This purchase led to the formation of K & J when he was joined by Frederick Thomas Jefferson (1854-1920). On the death of F.T. Jefferson, John’s son John Archibald Kenrick took over as Chairman of K&J. 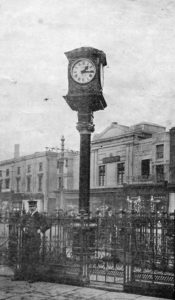 In 1912 during his time as Mayor, Councillor J. Archibald Kenrick presented the Kenrick Clock to the Borough. It still stands in Dartmouth Square today. 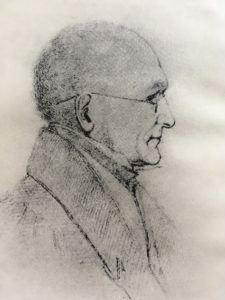 Sir George Hamilton Kenrick paid for the conversion of part of the West Bromwich Institute building into a municipal secondary school and built the Ryland Memorial School of Art at a cost of £26000. Kenricks erected the Kenrick (or Summit) School to provide education for the children of their workpeople although this extended to some other children in the area. Many hundreds of Spon Lane boys and girls owed their education to the public spirit and philanthropy of the Kenrick firm. The Summit school was taken over by the School Board from 1873-1889 when the Spon Lane Board Schools were built. When the old school buildings were demolished the site formed part of Kenrick Park.